February 27, 2011 -- Green Left Weekly -- Veteran Filipino socialist activist Sonny Melencio’s political autobiography, Full Quarter Storms, covers a lot of history. The book tells the story of the “First Quarter Storm”, the student uprising in 1970 (from which the book draws its title) and the driving of this powerful movement underground by the declaration of martial law by then-president Ferdinand Marcos in 1972. The book gives a first-hand view of the mass popular struggles followed by the difficult and dangerous experience of operating underground — one step away from Marcos’ brutal thugs. In fact, the book opens with the story of Melencio’s detention and torture by the military in 1977 — and his dramatic escape, a tale worthy of any Hollywood thriller. Melencio describes the guerrilla war waged by the Communist Party of the Philippines (CPP) against the Marcos regime through to the 1986 “people’s power” uprising that brought down the dictator — scenes anyone watching the current Arab revolts will find familiar. The book looks at the two later “people's power” uprisings (one of which also brought down a president) and the more recent struggles against President Gloria Macapagal-Arroyo (GMA) — whose family’s penchant for graft and corruption rivalled that of the Marcoses. It is also an insider’s account of the Filipino socialist movement, in which Melencio traces the achievements and the mistakes of the CPP, the main group on the left in the post-1960s period (of which Melencio was a member). He also describes the historic 1993 split in the party and the attempts to achieve unity among an increasingly fragmented left. Melencio describes the sometimes disastrous errors of the CPP and the Philiipines left. He was a participant in the 1993 split in which important sections of the CPP left, over its sectarian and dogmatic approach. The book is also a highly personal account of the struggles. Melencio’s account of his capture and escape from the military surreally juxtaposes the horrific with the comical. The reader gets to see the “First Quarter Storm” through the eyes of a then-radicalising student, martial law through the eyes of an underground revolutionary cadre and the 1993 CPP split through the eyes of a leader of the breakaway “rejectionist” current. But Full Quarter Storms is not just a reflection on past struggles. 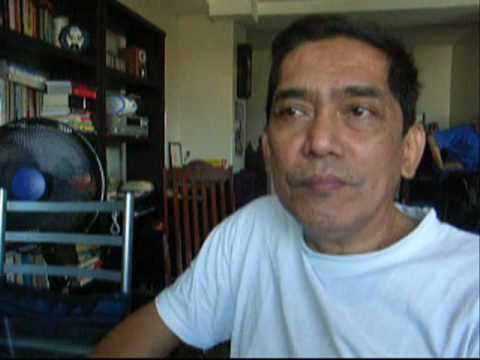 Melencio remains an active revolutionary socialist and was elected chairperson of the Partido Lakas ng Masa (Party of the Labouring Masses) at its January 2009 founding congress. Melencio does not pretend to be neutral. He is committed to the struggle for full democracy and justice for the Filipino oppressed. The book’s final chapters make it clear Melencio is describing a work in progress — Full Quarter Storms is an unfinished story. Melencio’s critique of the CPP’s “protracted people’s war” strategy is a theme running throughout the book. Until the 1993 split, Melencio was a leading activist in the Manila-Rizal (MR) regional committee of the CPP — working in a highly urbanised area. MR activists were frustrated with the way the underground party’s successes in organising industrial workers, students and the urban poor were undermined by the strategy pushed by the CPP leaders, who subordinated everything else to guerrilla warfare in the countryside. Things came to a head in 1978, when the dictatorship held elections for a rubber-stamp parliament. The party ran candidates on the Laban ticket, which was led by the liberal opposition. The CPP candidates campaigned with their own propaganda, which Melencio was responsible for producing. The MR cadre ignored instructions from the CPP leadership a few days before the election to withdraw. MR leaders, including Melencio, were suspended from the party and assigned to a stint as rank-and-file guerrillas in the CPP-led New People's Army. This issue arose again in 1983 after liberal opposition leader Ninoy Aquino was assassinated. The CPP largely ignored the movement that emerged in response. In 1986, the regime allowed Aquino’s widow, Cory Aquino, to run against Marcos in presidential elections. The CPP called for a boycott, arguing it was just a spat between rival ruling-class politicians. When Marcos tried to steal this election, his regime was met by a popular uprising and military mutiny. From this historic struggle, the CPP was largely absent. Melencio says it was the revolutionary left’s abstention from the movement that overthrew Marcos that ensured the dominance of pro-capitalist forces post-Marcos. A policy of healthy engagement would not have guaranteed that the uprising became a socialist revolution. But it would have strengthened the revolutionary forces and put them in a better position to challenge the post-Marcos capitalist elite in future struggles. The revolutionary left in Tunisia and Egypt is nowhere near as strong today as the CPP was in the Philippines under Marcos. But, in the case of Tunisia, by engaging with the broad-based anti-dictatorship struggle, the leftist 14th January Front has emerged stronger and become a significant political force. In the Philippines, by contrast, the CPP was isolated and weakened after Marcos’ overthrow. This, and its militaristic outlook, led to its darkest moment. In a chapter titled “Insanity grips the movement”, Melencio describes how paranoia about infiltrators in the still-underground CPP led to brutal purges in which hundreds of CPP members were killed in 1988. This caused widespread demoralisation and confusion within the party. The leadership finally called an end to the purges when it became clear it could destroy the whole organisation. When the CPP leadership “reaffirmed” the self-isolating “protracted people’s war” strategy, MR finally split away in 1993. They were joined by other sections of the party, and those that left became known as “rejectionists”. Melencio is candid about the weaknesses of the rejectionists since the split, largely due to disunity. From the rejectionist ranks, no less than nine different blocs emerged. This disunity helped ensure the dominance of the pro-imperialist political blocs, despite two new “people's power” uprisings and the mass movement against GMA. Melencio engages with fresh controversies among the left. He outlines the alliances made by the left with military rebels who challenged GMA and advocates strengthening these alliances. He cites the example of Venezuela, where military rebels have played a central role in the Bolivarian revolution. Venezuela’s socialist president, Hugo Chavez, is himself a former military officer who led an unsuccessful coup in 1992. However, Melencio does not just transpose the Venezuelan experience to the Philippines. He writes in detail about the structural and cultural differences between the Venezuelan and Filipino armies before analysing the reasons for the evolution of Filipino military rebel groups from putschists in the 1980s to a progressive force in the 2000s. He also stresses that the left should not see alliances with sections of the military as a substitute for organising among the people. Full Quarter Storms is punctuated by chapters headed “Parade of heroes”, each of which is a short pen portrait of a comrade who has died — most often in the struggle. The most significant, and moving, is of Ka Popoy Lagman, Melencio’s mentor from his first days of activism and the key MR leader. Lagman was killed by an unknown assassin in 2001. After the 1993 split, Lagman led the Solidarity of Filipino Workers (BMP) trade union federation. It was Lagman who Melencio largely credits for the MR cadres’ critical stance towards the CPP’s sectarian strategy. Uncommonly for a CPP leader, Melencio says the intellectually honest Lagman read, and encouraged others to read, Lenin rather than Mao. Two years before Lagman’s death, he broke with Melencio over whether to build an open, above ground socialist party (as Melencio advocated). Melencio expresses regret over the split, which he now feels may have been unnecessary. Such personal accounts provide valuable flavour to this often polemical book. More than anything else, the book is a sustained defence of the struggle for a better world — with the aim of providing lessons to strengthen that struggle in the future.